I really like this author. Her psychological mysteries centered around the Dublin Homicide unit are interesting and unique, each with its own odd twist. 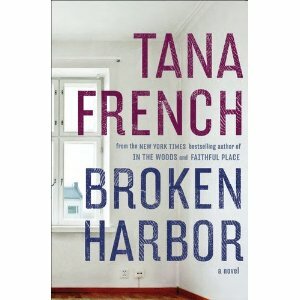 In this one, as the blurb says, in Broken Harbour, a ghost estate outside Dublin – half-built, half-inhabited, half-abandoned – two children and their father are dead. The mother is on her way to intensive care. Scorcher Kennedy is given the case because he is the Murder squad’s star detective. At first he and his rookie partner, Richie, think this is a simple one: Pat Spain was a casualty of the recession, so he killed his children, tried to kill his wife Jenny, and finished off with himself. But there are too many inexplicable details and the evidence is pointing in two directions at once. 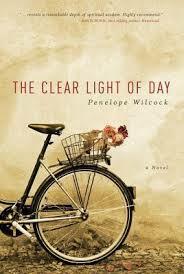 This story is about love, and obsessed love; about keeping up appearances, about old stories. The Spain’s house has holes in all the walls. There are video cameras and mesh nailed over the ceiling door to the attic. What is going on there? This is French’s creepiest tale yet, and despite the death of three people, less bloody than you might imagine. It is creepy because that abandoned development is creepy, with its many half built houses left in mid-construction. It is a testament to devastated expectations and hopes. It is creepy because of all the surveillance equipment. It is sad, terribly sad, because of the early buyers who bought into the dream now are stuck in the nightmare, unable to sell their homes and move. Great book. That’s all I can say. Great book. One of those stories with a guaranteed happy ending. That’s OK — I like happy endings. As Meg approaches her sixtieth birthday, and feeling that despite her very comfortable financial situation, she had nothing going for her, she decides to kill herself by jumping off a bridge that is about a three-hour drive from her home. She gets her affairs in order and sets off. Sully is a young man approaching his 30th birthday, a product of a series of foster homes and kindly neighbors who fed him and took him in from time to time. He is a skilled carpenter and is determined to make enough money to buy a little piece of land and build a small home of his own. He is on his way to a new job when, on that fateful bridge, he swerves to avoid a buck, and plunges into the river below. Meg, getting ready to jump, is appalled and rushes in to pull him out of the truck and up the embankment, thereby saving his life, and he hers, by distracting her from her purpose. 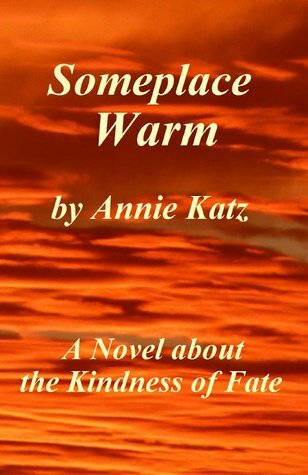 He is freezing, and she wraps him in a blanket she keeps in the car, turns on the heater full force, and after he absolutely refuses to go to the hospital, they set off together on their joint journey. It is a lovely, predictable, uncomplicated story, a feel-good tale, and of course you all know by now that I like to feel good, so for me, it was a satisfying read. In the end, Sully gets his family and his own home, Meg gets another age-appropriate guy and a job, and they all live happily ever after someplace warm. The tag line of this title should have warned me: Passions In The Park Series. This book is a good example of either a good mystery being interrupted by a bad romance story, or a romance story being interrupted by a so-so mystery. It starts off well enough – apparently a serial killer has struck again. The M.O. 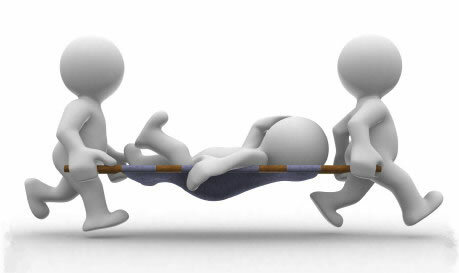 is the murder of a young woman, taking out the heart and replacing it with a live seeding tree, building a casket and leaving the body in the casket in some wooded area. This time, the scene is in Denali National Park in Alaska. Forest Ranger Greyson Beauchene is the protagonist here, and whose main love is the Park. One of the FBI team turns out to be under the sway of the Mystery Bad Person, and kills some of the team, but this isn’t much of a spoiler because all that happens pretty early on in the book. There is lots more to come, and it is actually not a bad thriller/mystery after all. I guess by now you have figured out that I don’t like my mysteries messed up with too much True Romance style romance, although I do like them with personal character development of the various individuals and if that includes something more personal, then fine, but the over-the-top tropes of the Taming of the Shrew variety are just too cliche for me. To each his or her own. This lovely piece of literary fiction skews more to the chick-lit side, because I don’t see too many guys being entranced by the thoughts and doings of a 45 year old female minister in England and a 68-year-old bicycle repair dude in the tiny town of her ecumenical charge. Jabez is a quiet man whose wife of 40-some years died a few years ago. He is lonely and still mourning. A delightfully eccentric woman calling herself Seer Ember, spry and feisty in her eighties has moved herself in with him, and they look out for each other. He is shy and very spiritually philosophical, and she is just basically a hoot. Esme has a failed marriage under her belt. It went south when she got serious about being a minister. The husband was less than thrilled by the idea. She is overweight and over-busy, and someone suggests that using a bicycle might help with both issues, being exercise and slowing life down just a bit. He suggests that Jabez might have a bicycle to sell or could recommend a good place to buy one. So off Esme goes to buy a bike. This is a story about loneliness, but really the story of how one can be quite contented in one’s life and still be lonely. Lonely doesn’t necessarily mean unhappy or discontented. It means lacking something. It is a story about insight, and how insight so seldom comes in flashes of blinding light but more commonly sneaks up on a person on little cat feet, and how it is up to each of us to recognize that little gift and do with it what we may. It is also the story about what might be in one set of circumstances a mismatch, in a different set of circumstances, a true match. When an individual is ready, the suitable person seems like fate. So maybe fate or destiny isn’t about events, but is about availability. Maybe it is about possibility and openness. Love wears many faces, as does compassion. John Jordan is a prison chaplain and an ex-cop who still gets involved in investigating crime. 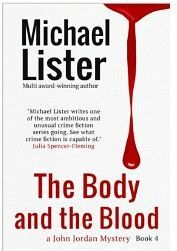 This is the fourth in this Blood series by Michael Lister. He is working at Potter Correctional Institution in the Florida Panhandle when he witnesses the most baffling crime. Within the high security section of the prison where the high-risk prisoners are housed, one of the inmates is killed almost before their eyes. It is a version of a locked-room mystery — always a winner in my book –, where the incarcerated are in a Protected Management Unit and have open cells most of the time, but not all of the time. A flyer is found announcing that there will be a murder during the weekly Catholic Mass. And by Jove, so there was. A convoluted tale with lots of blind alleys, plenty of possible suspects, but no clue as to how it was done before their very eyes, who did it, and why. Nice side story of John who is almost divorced, but they worked at counseling and now are going to get back together. All in all, a satisfying mystery. I haven’t posted anything for a while because my Dearly Beloved was in the hospital for pneumonia, and the X-rays showed a massive infection of the pleural cavity that needed an operation to clean out, so all in all, Life Sucked for a while, but after 9 days in the hospital, he is now home and recovering nicely, all except for the moaning and groaning. Oh, wait. That is ME moaning and groaning. Men are such lousy patients. I’m really Nurse Ratchid. However, during that time, although I didn’t post anything about what I was reading, I WAS still reading. Lots of down time in hospitals, doncha know. So I will be trying to catch up here in the the ole’ blog, but fair warnng: Don’t expect to read about anything deep, profound or heavy. I think the fare was mostly mysteries and one pretty decent chic lit. I really wasn’t up for Ulysses or Proust. See ya next post. Teaser: it is about blood. The third volume of the Dublin Murder Squad stories, this one the story of Frank Mackey, brilliant hotdog bigshot of the Undercover Squad. 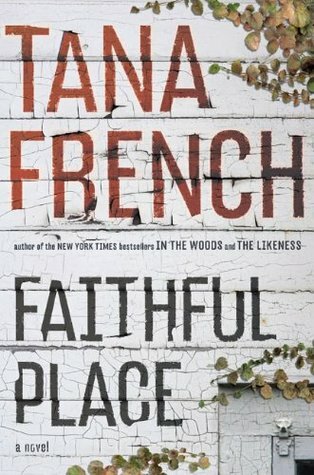 Faithful Place is a street in the Liberties, a low-rent very blue collar area of Dublin, where Frank was born and raised, along with his two brothers and two sisters, by a psychologically abusive mother and a physically abusive drunken father. He couldn’t wait to get out of there. So back in 1985, Frank Mackey, 19 and Rosie Daly, 18, were going to run away to London. She didn’t show but still vanished. Twenty-two years later, Rosie’s suitcase is found behind a fireplace in a derelict house on Faithful Place where they were to have met up all those years before. Frank now 22 years later is divorced with a 9 year old daughter, and his childhood family with whom he has nothing to do, except for his younger sister. He gets involved in the cold case of Rosie when his sister calls him in a panic and begs him to come home to Faithful Place to talk about it all with the family, because everyone knew he was supposed to have left with Rosie. Going through the old house with his younger brother, they find a suspicious walled up section of the cellar, and pulling it apart they find a body, well, really they find a skeleton and the shards of what Frank remembers as Rosie’s clothes. It is promptly pronounced a murder by the medial examiner, and now the Murder Squad is called in to investigate, with Frank’s unwanted and unsolicited help mucking around. And then his brother is found dead, having apparently thrown himself out of the top floor of that same building. How could this be? This is another psychological look at families, loyalties, betrayals, and deep-seated rage by the author of In the Woods, and The Likeness. Do we find out who dunnit? Well, of course. And of course, I am not telling you.